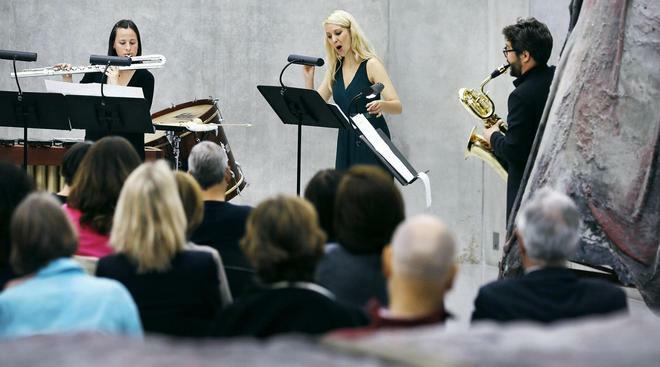 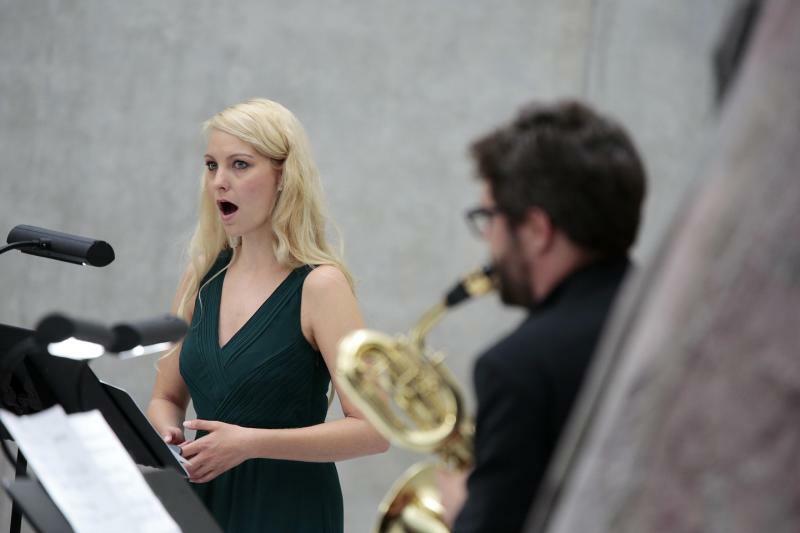 My new piece Sonnet98_fragments, as well as monophonie were performed in May 11 2015 at Kunsthaus Bregenz by soprano Frauke Burg and musicians from the Voralberg Orchestra (Anja Nowotny-Baldauf - flute, Markus Beer-clarinet, Pablo-Fabian Müller-saxophone and Matthias Schmidt-percussion). 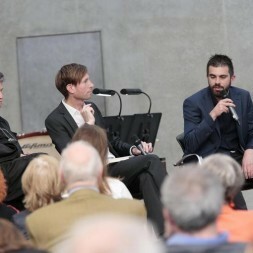 The event was the first one from the Opernatelier program. 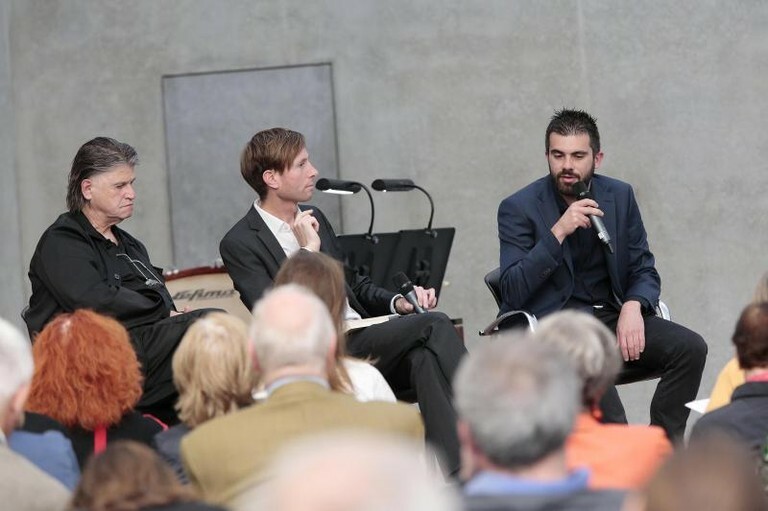 Except for music, there was also a short presentation of the project with talks by the Bregenzerfestspiele artistic director Elisabeth Sobotka, the director Ernst M. Binder, the dramaturg Olaf Schmitt and myself. 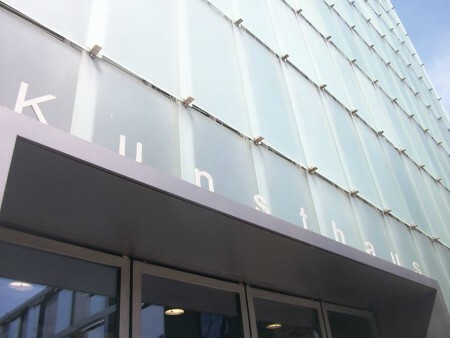 During the presentation, the theme upon which the libretto of the opera is going to be based was revealed, namely Virgina Woolf's novel "To the lighthouse".